Why Do Kids Need Music Lessons? It is widely known that music education – no matter if it’s playing a musical instrument or vocal training, helps with other types of learning. Those that play instruments or that are involved and exposed to music in other ways seem to do better in things like math reading, and science. It is really a shame that music programs are being eliminated in some schools. If you want to do something fun with your preschooler that will help them in the long run, or if your children do not get music education in school, you can come up with your own music lesson ideas to enhance their education in the long run. If you want to find music lesson ideas for preschoolers, you can start out with very simple things. Young kids love to make noise, so they are going to love getting involved with music. They may even already be exposed if you allow them to watch some kid’s shows that showcase music, which many of them do. Simple pots and pans with wooden spoons are going to make a lot of noise, but they are also going to introduce your children to rhythm. You can give them just one to start out with and then add different sizes that are going to make different noise when struck. See where they go with it. Now, taking these steps to learning more about music is helpful, but not to be mistaken for formal training and instruction. But, something is better than nothing which is why coming up with alternative music lesson ideas is a smart way to go in absence of the “school” route. Preschoolers and elementary aged children can start with sounds for music lesson ideas. You can find samples of different instruments and see if they can tell you what they are. You should first play these for them, tell them what the instrument is, and then show them pictures (or the real instrumental if you can), and then see if they learn anything. Play simple music samples to see if they can pick out what is a saxophone, clarinet, piano, trumpet, trombone, electric guitar, acoustic guitar, and anything else you want to try with them. Once they learn them, try more obscure ones like a sitar, French horn, or a harpsichord. Give them a chance at using the art side of their brain. Just about every kid can benefit from music lesson ideas that include them learning to play an instrument. Some simple ones that children learn that become more difficult over time are the best, which includes most types. Piano is a good one. You can try to learn along with them or you can see if you can find someone to give them lessons. They can also start other instruments as well. See if they have a preference. Take them to a music store to see what they have an interest in. Age ten is a great age to start, but many children can successfully start earlier than that. As children get older, they can learn music theory, and even take on a few new instruments. Some children grow up playing two or three different ones. Some find that once they have learned on the rest are easier to add. They should also be learning to read music as a part of these music lesson ideas, as well as even trying to compose their own musical notation or pieces. Improvisation is something that stirs the creative part of their mind, which enriches learning in all other areas. No College – No Problem! So, you see? 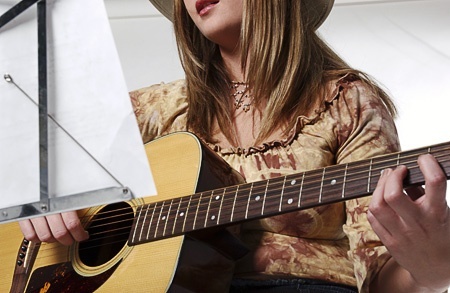 You don’t absolutely have to send your child off to a music university just yet. The art of learning notes might come but then again, many musicians (even famous ones) do not read notation at all. This takes commitment but for now, let your child enjoy the fun and benefits of these ideas about music lessons so that he or she will at least be exposed to this exciting world!